The Spinfire Lava is an advanced electronic machine with a professional linear gripper. 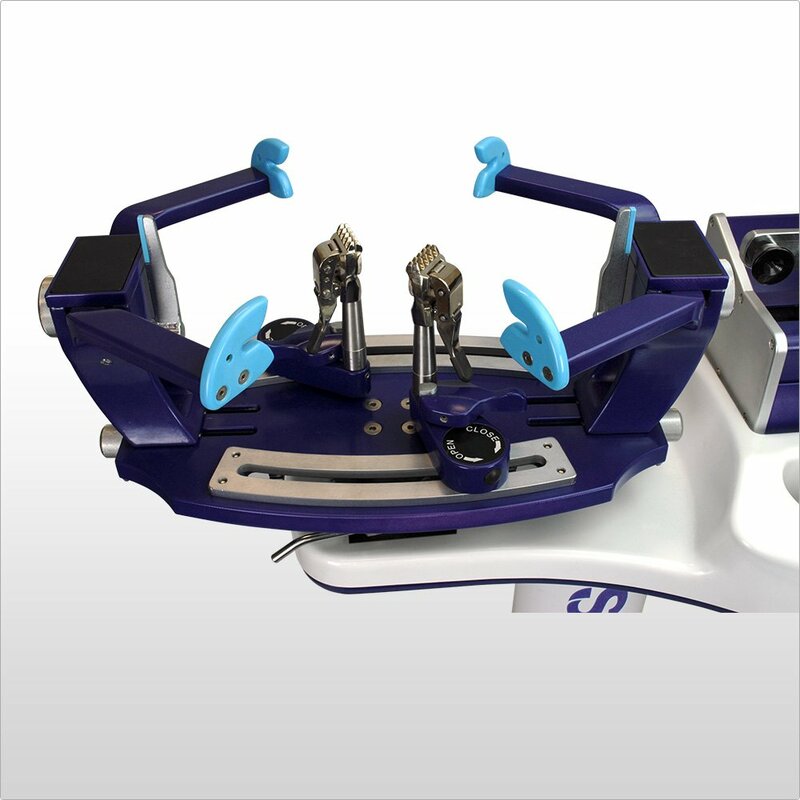 It comes standard with constant pull, knot function, pre-stretch, kgs or pounds, 3 pull speeds & 4 memory positions. Featuring the Spinfire Automatic Base Clamps which makes locking and unlocking the column clamps a breeze. 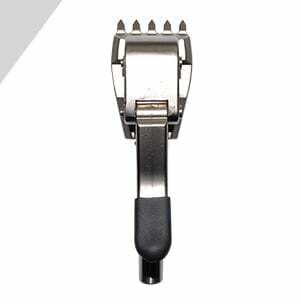 The smooth action Spinfire V50 hybrid column clamps are suitable for tennis, squash or badminton racquets. The “6 point self-centring suspension mounting system” allows for quick mounting and ample room to work under the stringbed. The mounting towers are moved in and out quickly with a single knob at each end of the turntable. The towers both move together in sync which keeps the turntable work area evenly distributed. This is also how the 12 and 6 o’clock supports are adjusted which is a nice time saver. The side supports are controlled by the larger knob at each end of the turntable. One knob controls two side supports, bringing them in and out in sync for even distribution of pressure. 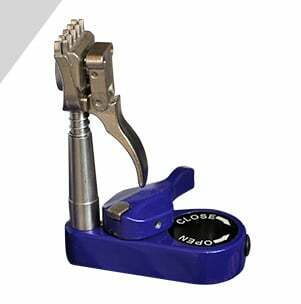 The manual turntable brake has a discrete lever designed to reduce the chance of catching string. The height adjustable stand is included as a standard feature along with a string reel holder.